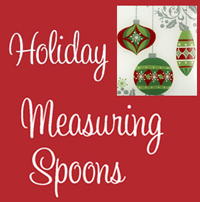 Ganz Christmas and Holiday Measuring Spoons make wonderful gifts for your friends. Celebrate the holidays with these beautiful items from Ganz. They are great items for hostess gifts. Be sure to keep some on hand for the holidays! 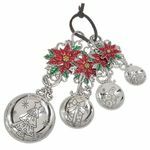 Beautiful Christmas and Holiday designs featuring: Santa Claus, Snowmen, Snowflakes, Cardinals, Christmas Trees, Ornaments, and Poinsettias.